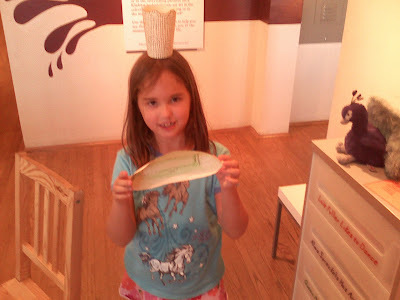 Yesterday (also for Krista's birthday) we went to the Maryhill Museum of Art. I was amazed by the quality of the pieces on display there. Right now they have a Warhol show going, and an impressive amount of Rodin in the basement, which is apparently part of the permanent collection. The international chess sets were neat, too. 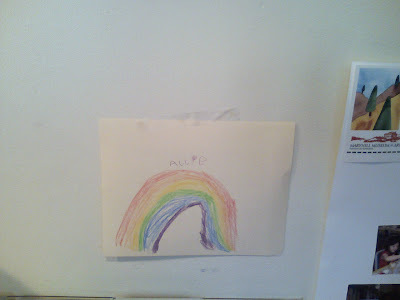 I debated telling A that she wasn't allowed to put her own work up in the museum, but in the end I decided that I didn't want to squelch her artistic temperament.